We Canara Lighting Industries Pvt. 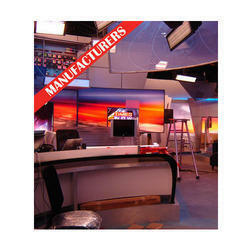 Ltd. engaged in offering a wide range of Studio Lighting from the last 43 years. These lights are manufactured using finest quality raw material and latest technology. Moreover, our lights are highly qualitative and are widely applicable in the TV studio, Film, Production houses, outdoor shooting, photo shoots & media schools etc.